IQ Blox is the latest addition to my favorite logic game series, the IQ by Smart Games. 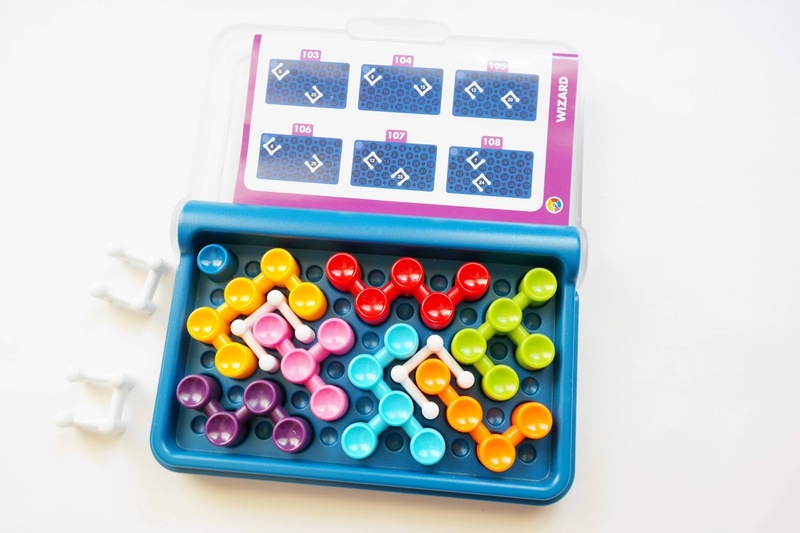 Designed by Raf Peeters, these are convenient pocket-sized games that you can bring with you anywhere, as they're presented in a plastic box that closes and keeps the pieces from being lost. What's more, these puzzles will give your brain a boost and put your skills to the test. The IQ Blox uses a clever new feature: small U-shaped walls that block some of the pieces from being placed at certain positions. With these restrictions, you'll have to find alternative ways to find the correct solution which, like most other games in the series, have only one solution per challenge. 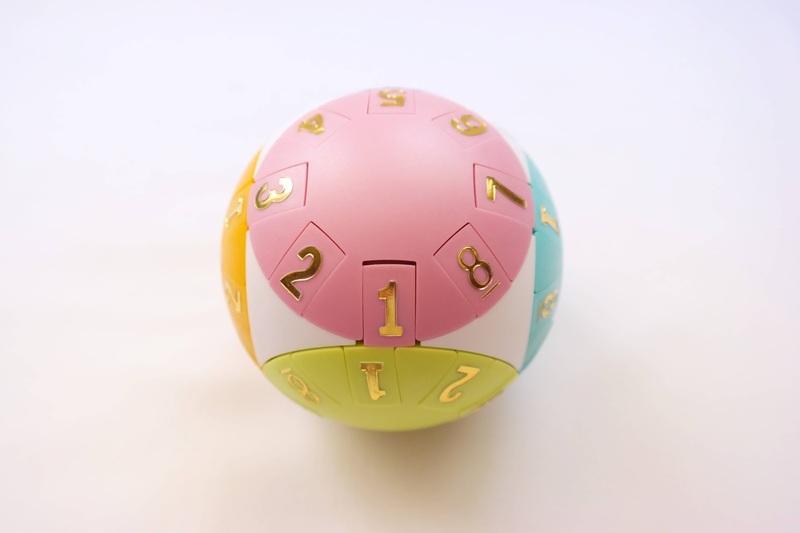 Besides the inclusion of the four walls, the game contains seven distinct pieces, each in a different color and shape. 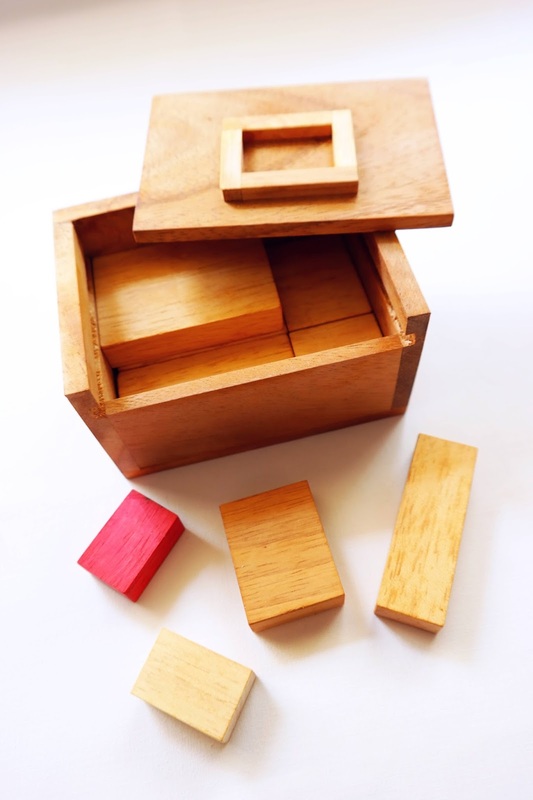 There are two types of pieces, tetrominoes and pentominoes. When a challenge is complete, all the pieces will occupy the entire area of the game board. 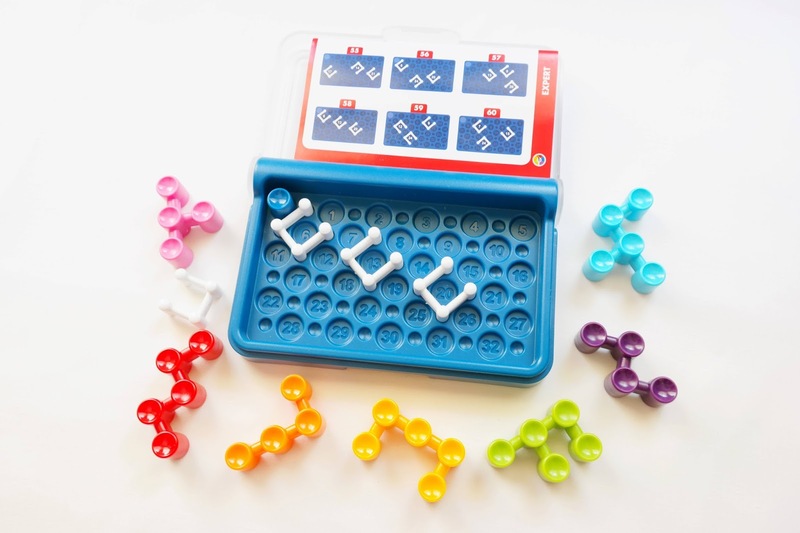 There's a stationary piece of a single unit that sits at the top left corner of the board, since it wasn't possible to fill the board entirely with the seven pieces. You can use both sides of the pieces interchangeably. To start any challenge you will have to place in the tray one or more walls, depending on the difficulty of the chosen challenge (the harder the challenge the less walls are used). 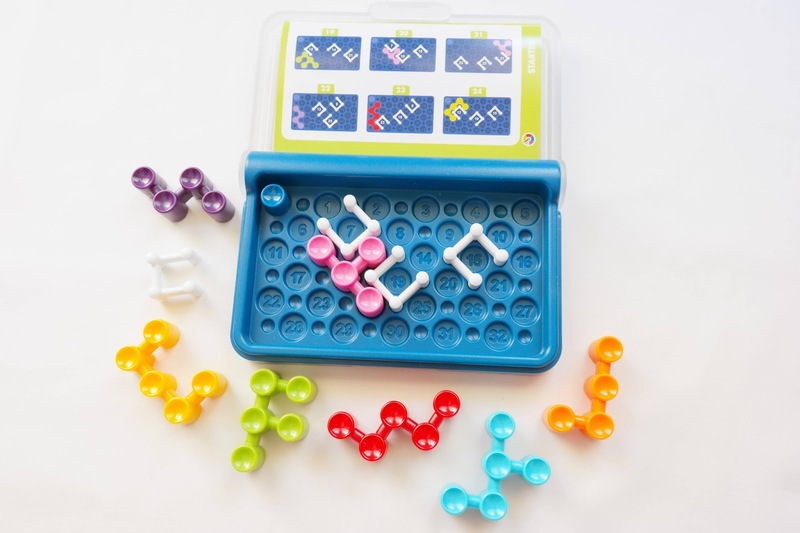 The board has numbers on each spot to easily set up a challenge. Also depending on the level (Starter), there could be some pieces already in place when you start a challenge. You complete a puzzle when all the pieces fit neatly inside the game board. 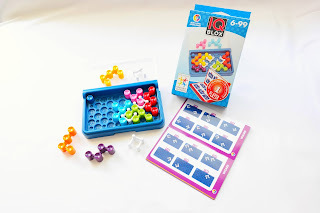 Although a bit different from other games in the series, the IQ Blox is not much harder than its predecessors. The walls give it a slight increase in difficulty, but at the same time it tells you right away if a piece will fit in the board or not. You will constantly rearrange the pieces as you go until you find the correct solution, but in the end it's on par with any of the other games by Raf in terms of difficulty. 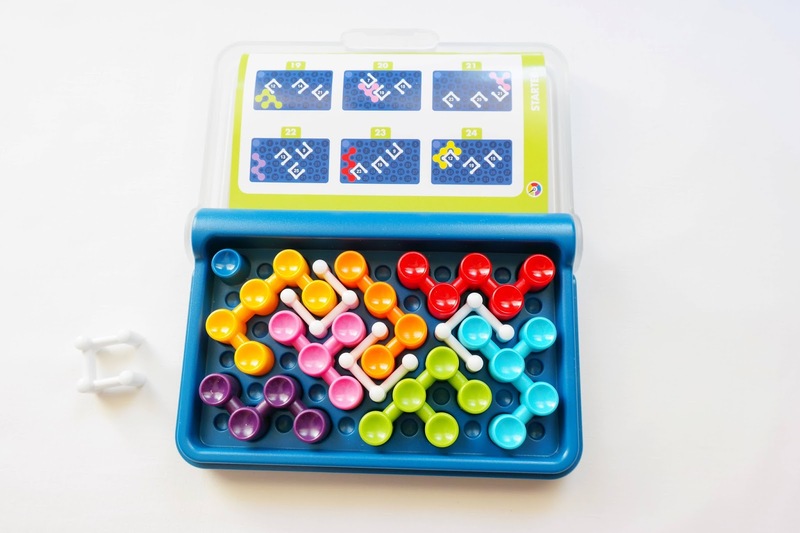 The IQ Blox is a challenging game, but it never reaches levels of frustration capable of making you give up on it. The inclusion of the walls give it that bit of originality and novelty that will satisfy any packing puzzle fan. 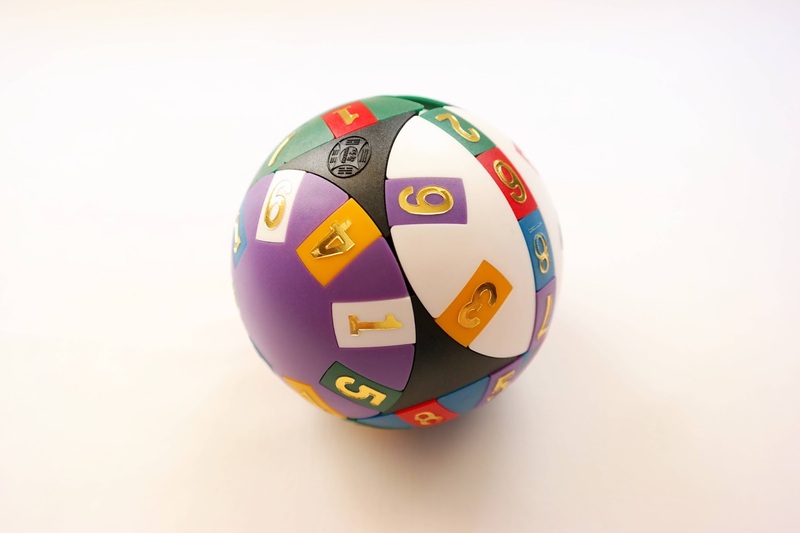 With 120 challenges and five levels of difficulty, there's something for everyone, beginners and experts alike. 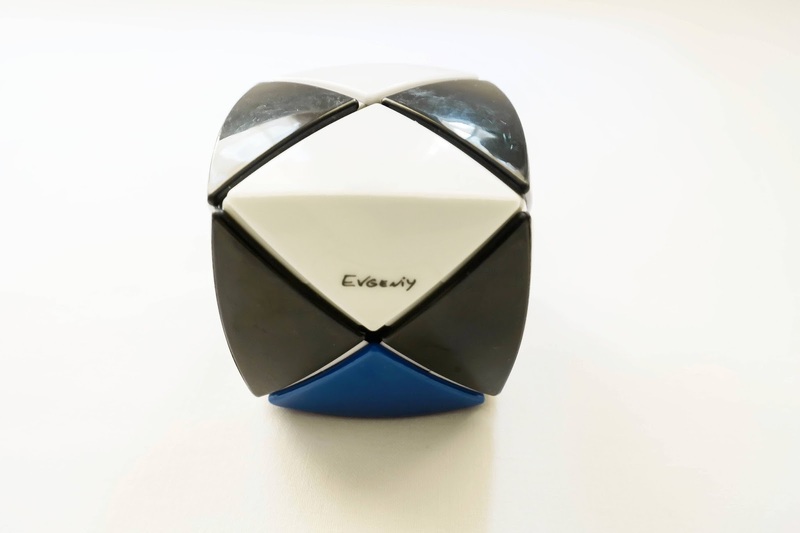 Availability: The IQ Blox is available at Amazon and other major puzzle stores around the world. I love Philos' puzzles. 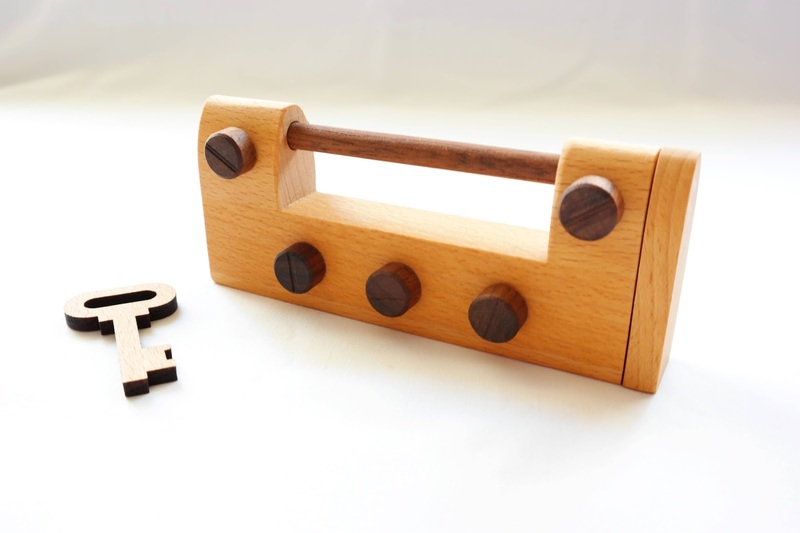 This German company always manages to manufacture nice puzzles at affordable prices, and each one offers a different challenge. They are mostly built from hardwood, which enhances their natural look and high quality. 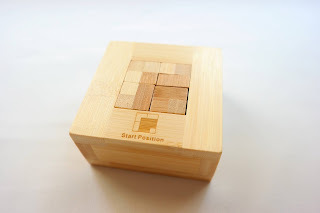 The company works with many international puzzle designers and with the Quadstair, this is no exception. 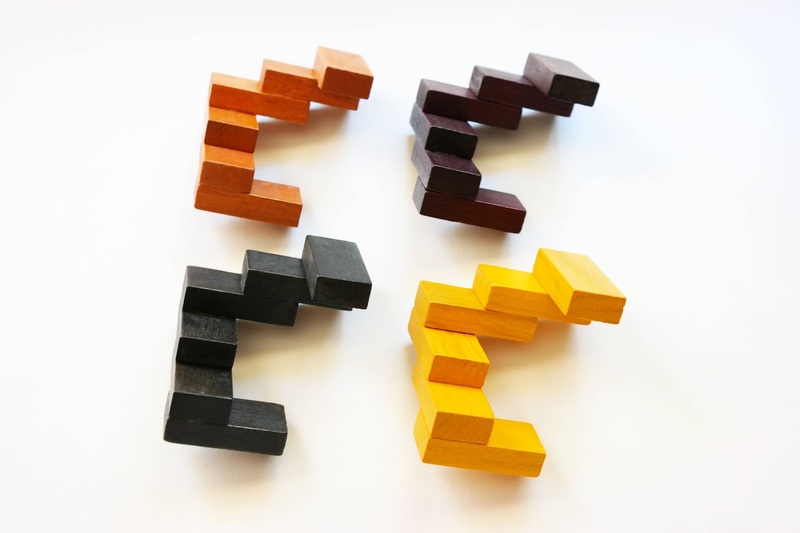 Designed by Oskar van Deventer, one of the most prolific puzzle designers in the world, the Quadstair is a superb puzzle that few will be disappointed with. Made from four identical pieces, each in a different wood color, this interlocking puzzle is quite an intriguing object when you first try to solve it. The pieces seem to be all glued together in a spiral with a square shape and a hole in the middle. 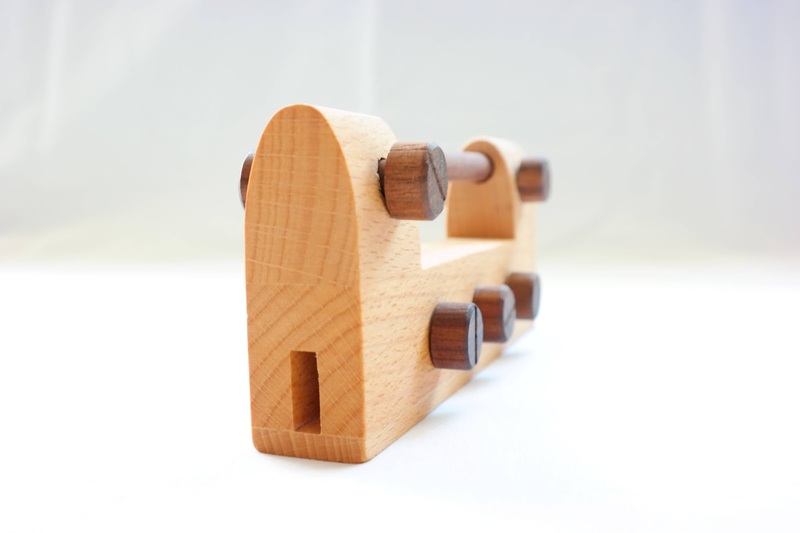 Whichever way you pull on the pieces, they just won't budge a millimeter. However, there's a way to separate the four pieces. You just have to keep trying until you succeed. Be careful not to apply too much force, though. It's not needed for the solution, and even though the pieces are glued together at key spots, you might end up breaking the puzzle. Usually, interlocking puzzles are quite a challenge for me. Even more when I try to reassemble them. Fortunately, even though it looks intimidating at first, the Quadstair is not that difficult. After spending about 10-15 minutes to separate the pieces, I'd say this is about 7/10 in difficulty. Reassembling it is actually easier, which is not common for an interlocking puzzle. 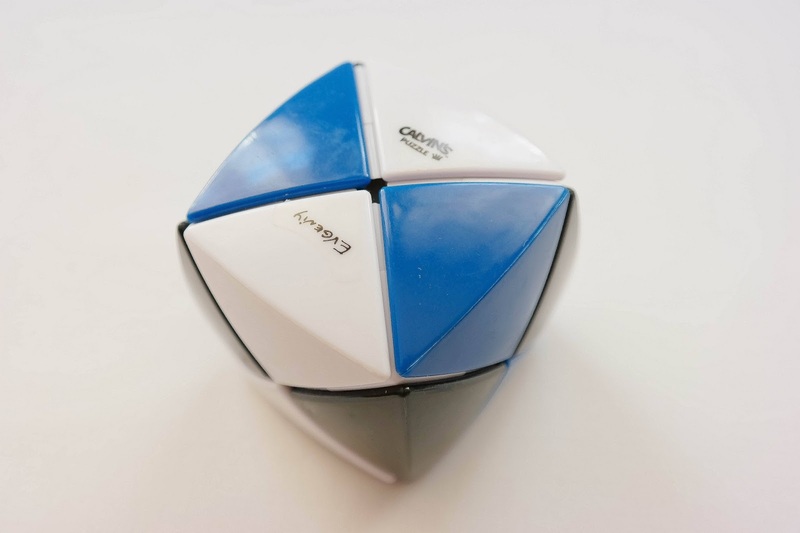 I guess the fact that the pieces are all identical makes it easier to visualize it solved and connect the pieces in the right way. 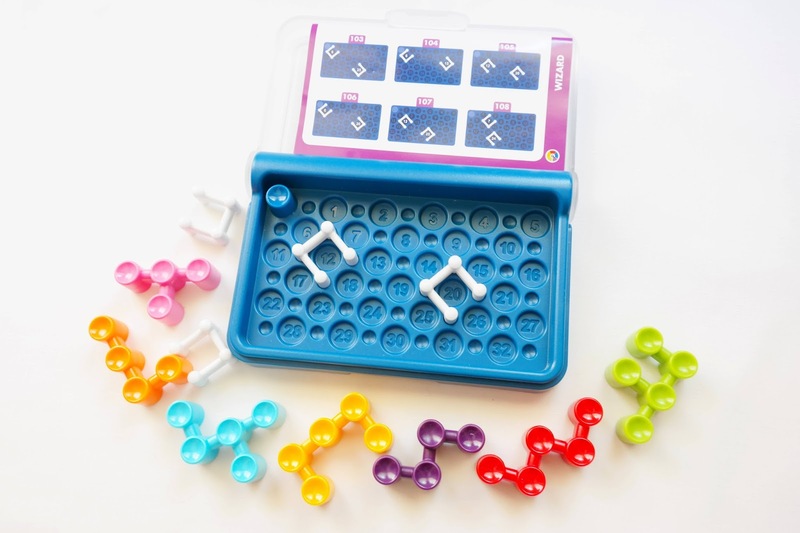 Once you know where to pull, the puzzle is very easy to disassemble and reassemble. What I really liked about Oskar's Quadstair is that its simplicity and perfect harmony among the pieces makes for a surprising and rewarding feeling when you finally discover its secret. 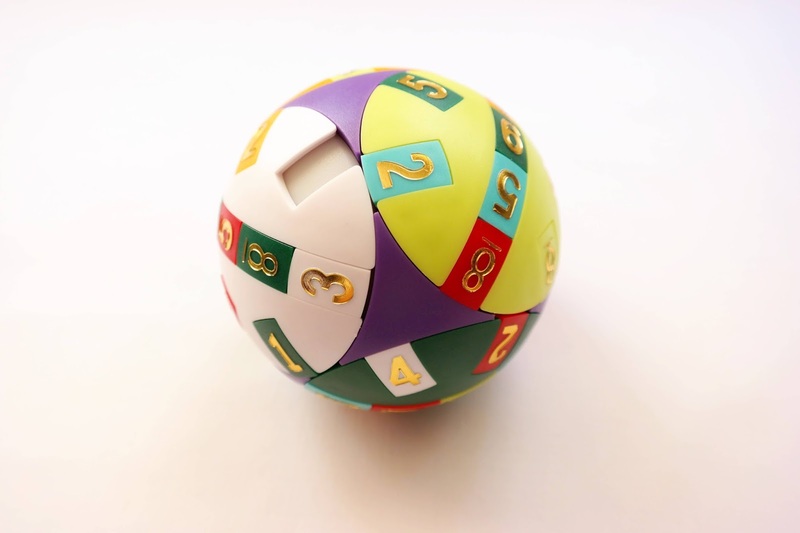 This is a great puzzle for any puzzle fun, since there aren't any special tricks involved, just clever designing and utter brilliance. 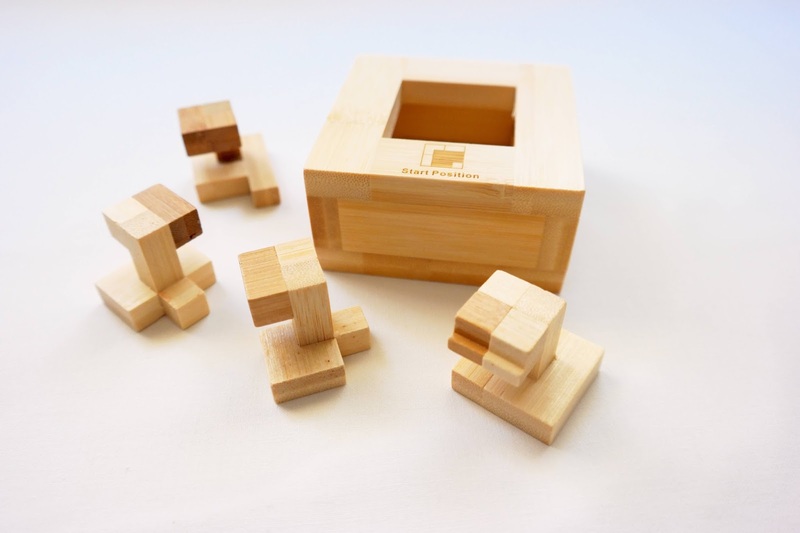 When you combine a good puzzle company and a genius puzzle designer like Oskar, the result will certainly be amazing. 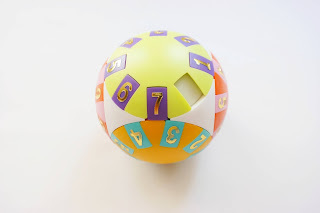 This is an affordable puzzle that any collection should have and any fan, beginner or expert, should try. Availability: At the time of writing, the Quadstair is unavailable at PuzzleMaster. 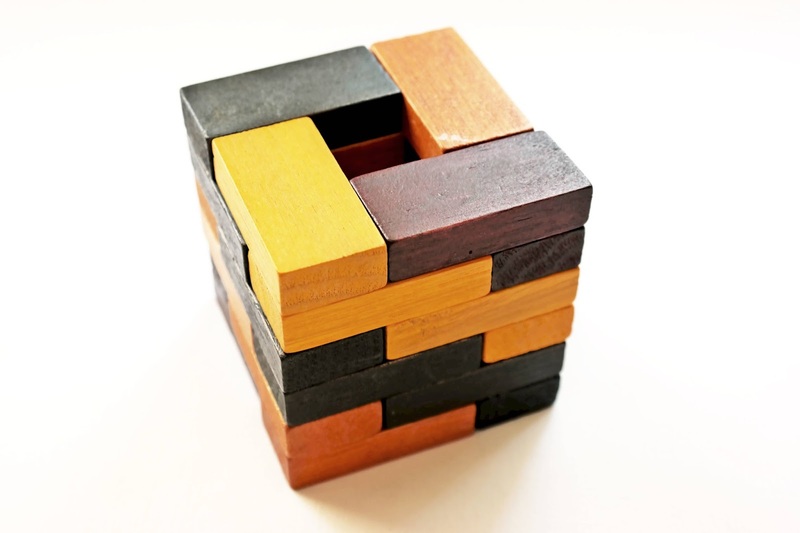 You can keep checking regularly or try the other great puzzles offered by Philos. Bernhard Schweitzer is a German puzzle designer with lots of great puzzles under his name. The Redstone Box is a fine example of his ingenuity and, coupled with Creative Crafthouse's high quality manufacturing and polish to their products, is sure to satisfy even the most demanding collectors and puzzle enthusiasts alike. The Redstone Box is a 3D Packing Puzzle where the goal is to hide an extra piece (the red block) inside the already apparently filled box. 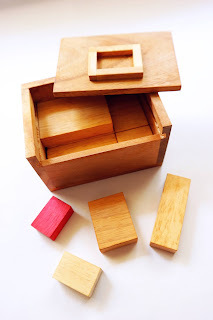 You need to reassemble the pieces in a way so that the volume of the extra piece can be accommodated in the box and still be able to slide the lid and close it. To my knowledge, there's only one solution for this, excluding rotations. 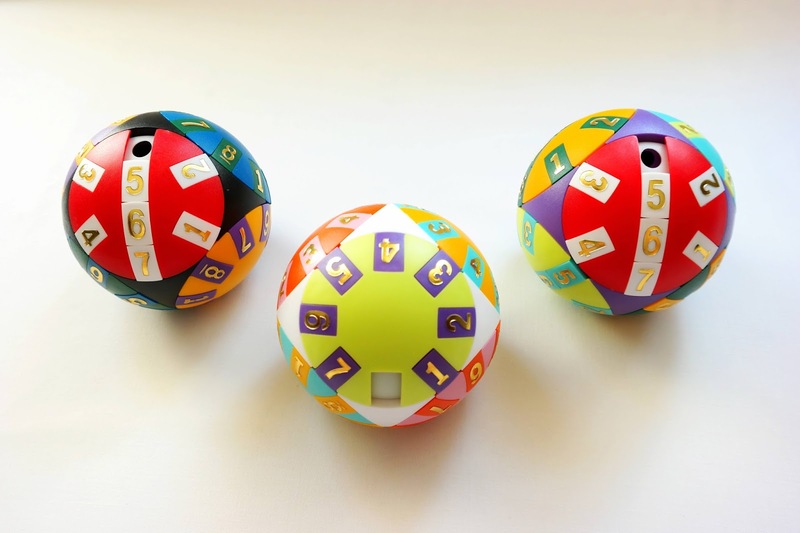 This is definitely not a puzzle for beginners and can be extremely challenging. 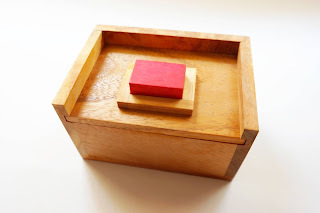 It comes unsolved in its box, with the red block placed in its special slot. The lid slides off, so you can store the pieces in the box without worrying about losing them. 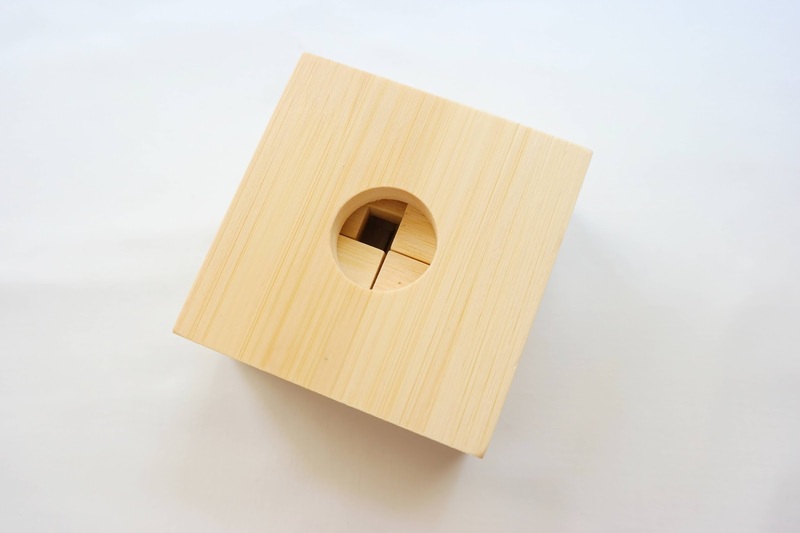 The box measures 11.6cm x 7.8cm x 6.6cm (4.6" x 3" x 2.6"), so it's a nice sized puzzle, made with hardwood and very well built. 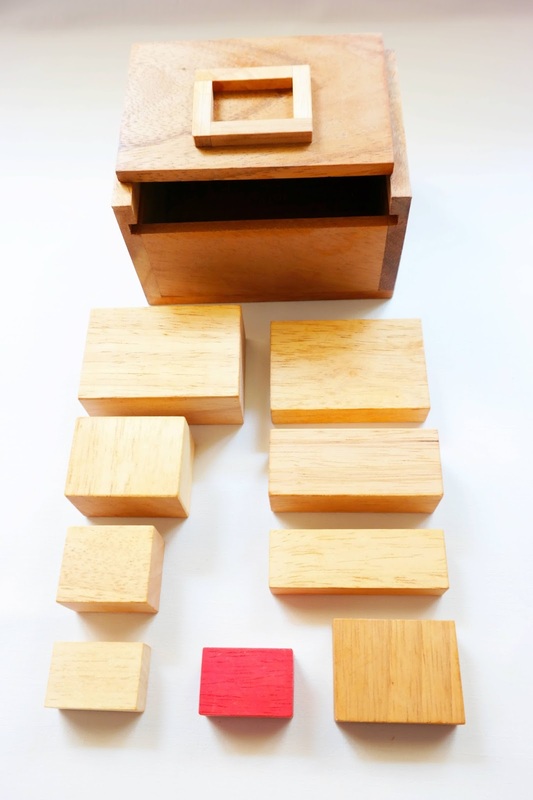 The puzzle consists of eight pieces with different sizes and shapes, plus the red block. Some of the blocks have the same height, but besides this there are no two identical blocks. This packing problem is, in a way, quite similar to the classic Calibron 12, except the latter is in 2D. But the different sizes of the pieces and the solving process is somewhat similar. What I did find similar is that both puzzles are among some of the most difficult puzzles I had the pleasure to play with, but not the satisfaction of solving. 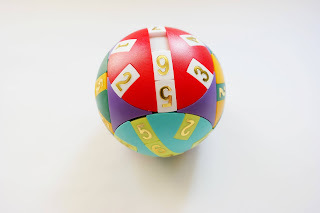 To solve a puzzle like this, one must have a mathematical approach to it, which I don't have. 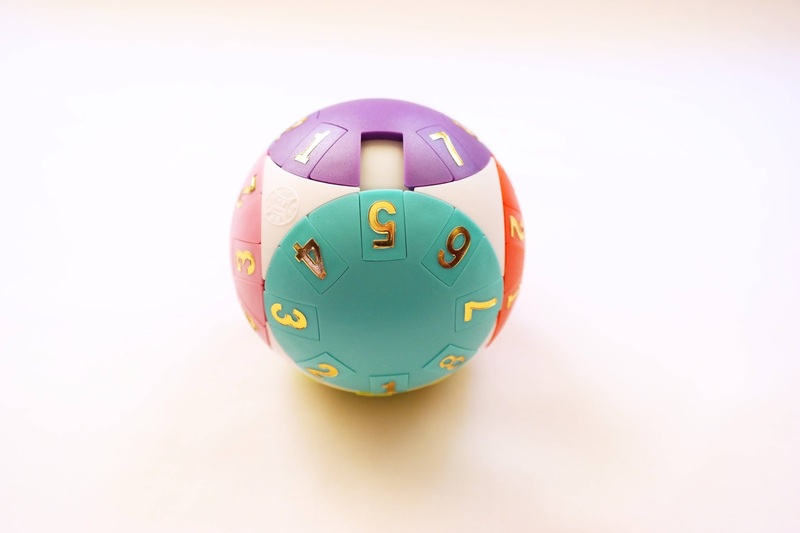 There's no way you can solve these puzzles by trial and error, at least in a timely manner, or you'd be the most lucky person in the world. To get the puzzle back to its original state you have several ways to do it, although I found none so far. It's still a difficult puzzle, whether you do it with the red piece or not. 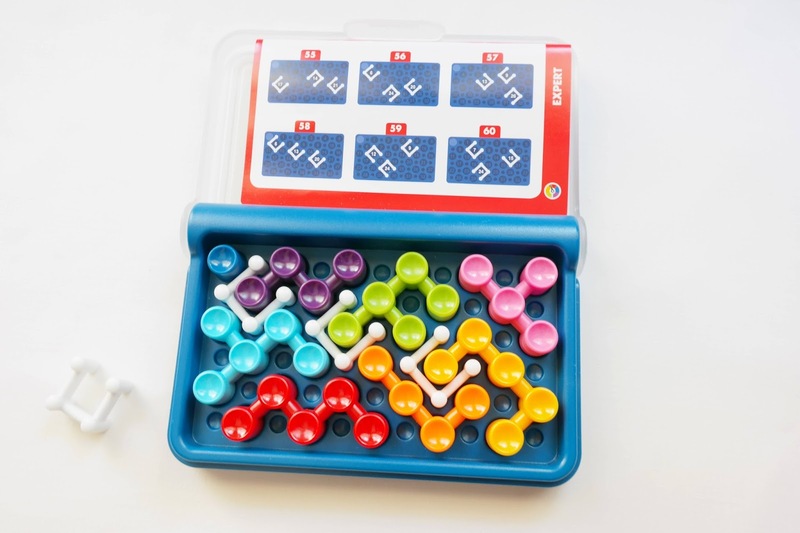 It's good that there are various solutions (without the red piece), so you can enjoy it many times over. The Redstone Box is a superb puzzle. Yes, I can enjoy and appreciate a puzzle that I failed to solve. I love puzzles, both easy and difficult alike, and this one deserves a chance, even if you think you won't solve it. It's a great addition to any collection. Availability: I got the Redstone Box from PuzzleMaster, available for about $20 CAD. More from Creative Crafthouse can be found there as well as some others from Bernhard Schweitzer. 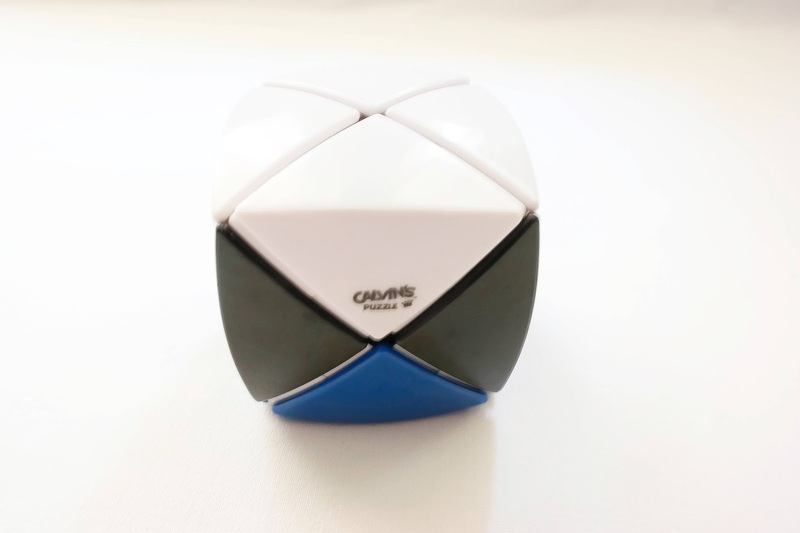 The Pillow Dino by Calvin's Puzzle (designed by Evgeniy Grigoriev) is an interesting color variation of the well-known Dino Cube, invented by S.Y. Liou back in 1995. Since the original is so rare nowadays and currently fetches hundreds of dollars whenever a copy is available for auction, most of us will have to settle for a more affordable option, like Calvin's Dino and others. I also have a very nice variation by Smaz, with a very original sticker design. But, today's review is all about the Pillow Dino, so read on. A nice thing about Calvin's Pillow Dino is that it's parts are stickerless, except for the designer and manufacturer's transparent stickers on two white pieces. 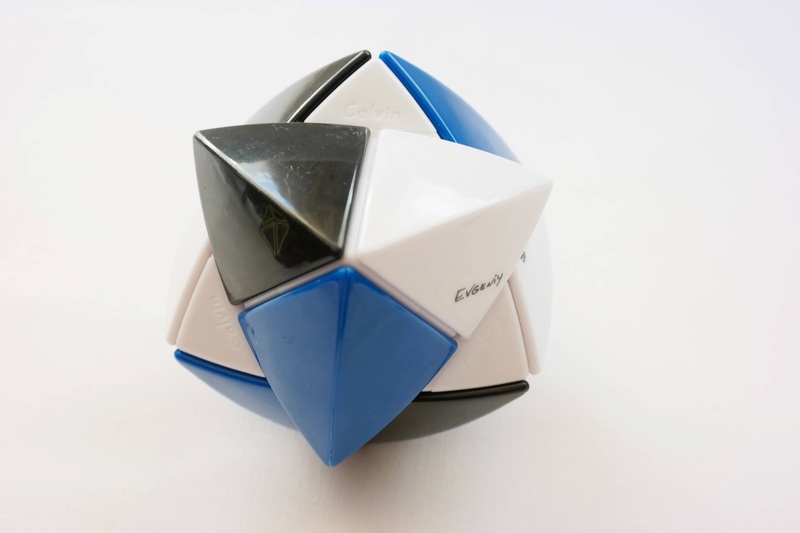 The puzzle features three colors (black, blue and white), which are great to form patterns, aside from the main one. I'm not sure how many you can create, but it depends on what you call a pattern, if it has to be symmetrical or not. Nevertheless, it's good to have more than one option. The movement of the puzzle is smooth, but I'd say it's too lose. The pieces often get stuck on top of one another, making the puzzle difficult to turn sometimes. 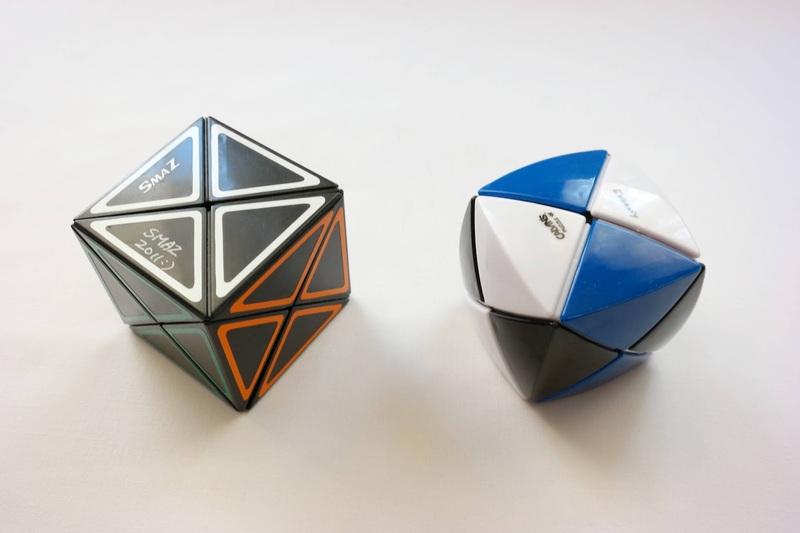 In terms of movement, I prefer the Smaz Dino Cube, which is much more stable. 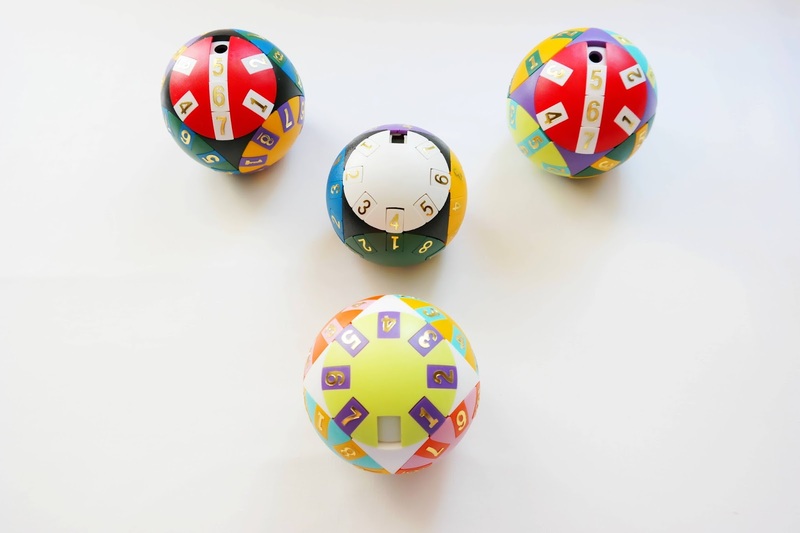 The mechanism has an 8-armed ball core and the puzzle moves by rotating its corners. 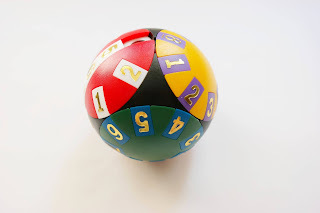 Solving the puzzle is not difficult, but there's more to it than the apparent lack of challenge it offers. Its simplicity, with the three colors, which by the way, in my opinion, are a great match, is nice for just fiddling with it, trying to come up with different patterns. It doesn't need to be challenging to be appreciated and enjoyed. Calvin's Pillow Dino is definitely a nice addition to any Twisty puzzle collection. Also, because it's easy to solve, anyone can try it and have a feel for what Twisty puzzles can offer. It's not the best Dino Cube variation, but definitely not the worst. Availability: The Pillow Dino by Calvin and Evgeniy is available at PuzzleMaster for about $20 CAD. 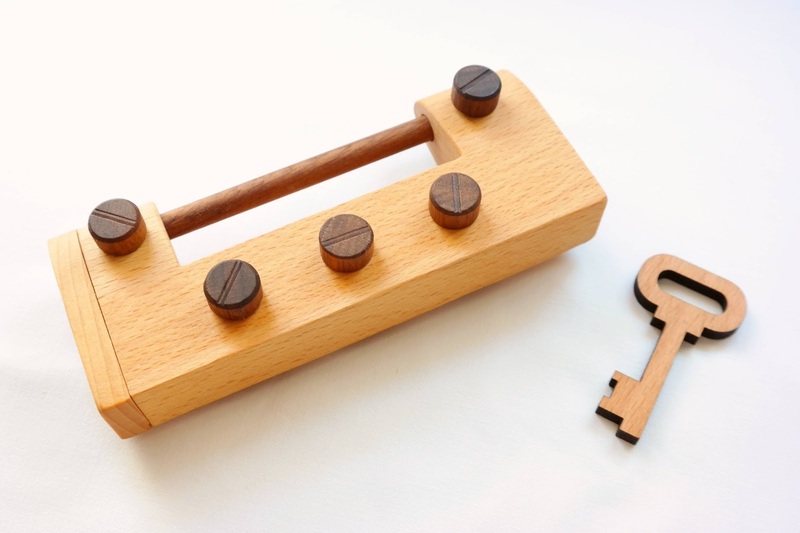 Another great design from the IQ Locker Series by Mi-Toys, the Dial and Turn Lock is a relatively easy puzzle lock for anyone interested in this type of puzzles, but not yet ready for the more advanced and demanding designs that Trick Locks can offer. I've previously reviewed other puzzles from this series and, without exception, I was pleasantly surprised by the originality of their designs. 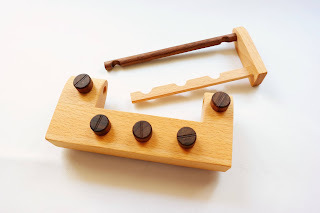 They are mainly made from various types of wood, a material that is not very commonly seen in trick locks, but even so they are nicely built, and unless you apply excessive force they won't otherwise break. The Dial and Turn Lock has an odd and intriguing design. Unlike the traditional padlock design, the shackle is a straight bar that stretches across most of its length, and scattered through its wooden body you can see five dials. These dials can be turned in any direction, but only one position is the correct for each of them. To release the shackle you have to pull on the handle that is located on one of the sides of the lock, but unless you have the right combination for the dials, it won't budge. There's also a key and a slot to fit the key at the opposite side of the handle. It's up to you to find out the use of the key. At first, the lock seems quite intimidating with its five dials, all with its unique position. Nevertheless, with careful manipulation of one dial at a time, you'll sense when you've hit the right spot where it may release the shackle. Without much effort, I was able to open the lock within a couple of minutes. A bit disappointing for the lack of challenge, but also quite satisfying to be able to open it quickly. I was left with some mixed feelings about the Dial and Turn Lock, but in the end it's still a nice and interesting puzzle to have a go, especially if you're a fan of trick locks and hidden mechanisms. 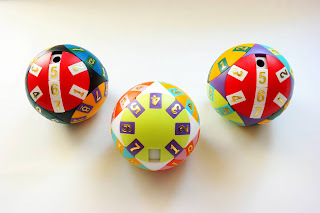 It's a pretty affordable puzzle, so you can easily get the whole series and experience different levels of difficulty between all the designs. Availability: You can find the Dial and Turn Lock, as well as the IQ Locker Series, at Brilliant Puzzles for $10.95 USD.